North Coast Caravans Ltd. - Bude Cornwall - Homepage. 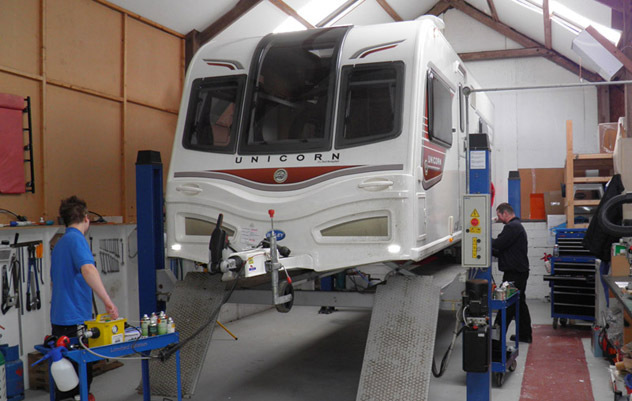 In our purpose built independently assessed Approved Workshop, we undertake any size and type of caravan repair, modification or routine servicing. Our friendly staff are fully qualified and registered engineers who will ensure that your work is carried out to the highest of standards. Calor Gas/Camping Gaz and Toilet Chemicals. We supply the full range of AVTEX low voltage TV's/DVD's/Radios, plus aerials & accessories. AL-KO ATC anti-snake safety devices. 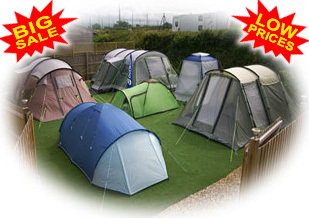 Outwell & Colman tents & we mail order. Authorised Dealers for Tyron, AL-Ko, Thetford, Spinflow, Truma, Dometic. North Coast Caravans Ltd. Wooda Farm Park, Poughill, Cornwall. EX23 9HJ. Closed Daily 1pm-1:30pm for lunch. Our opening times during these periods varies depending on the time of year, please contact us for current details.